I just read that Sidney Sheldon died yesterday. 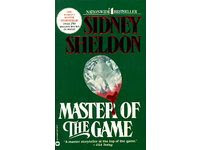 The first time I read a Sheldon novel was my freshman year in high school. I borrowed it from my friend, Parul. I had no real opinion of the book, other than it was fun to read. But I remember a teacher seeing Parul with one of Sheldon's novels and telling her that she was too smart to be reading that trash. Hearing that, while still occasionally reading one of his books, colored my view of him. To me he was just a trashy novelist - though of course that's why we loved reading him when we were 15. But today, reading the story in the paper about him, I learned a lot more. He won several awards, including a Tony and an Academy Award. He produced and wrote for several seasons on the "Patty Duke Show" and he created and produced "I Dream of Jeannie." He sold his first poem at age 10 and he attended Northwestern University. Now, I haven't thought about Sidney Sheldon for years. But it amazes me that someone with so prolific and varied career was brushed off by me, and that teacher, so many years ago. Of course, how could I have known all this? I wasn't alive when he was writing for the theater, or film or even television. But it just goes to show, that you really shouldn't judge a book by its cover, or a career by its books.